JD Stylo is an Astroid based Fashion Joomla template which powered with Bootstrap 4. The combination of both makes this template more flexible and easy to use. 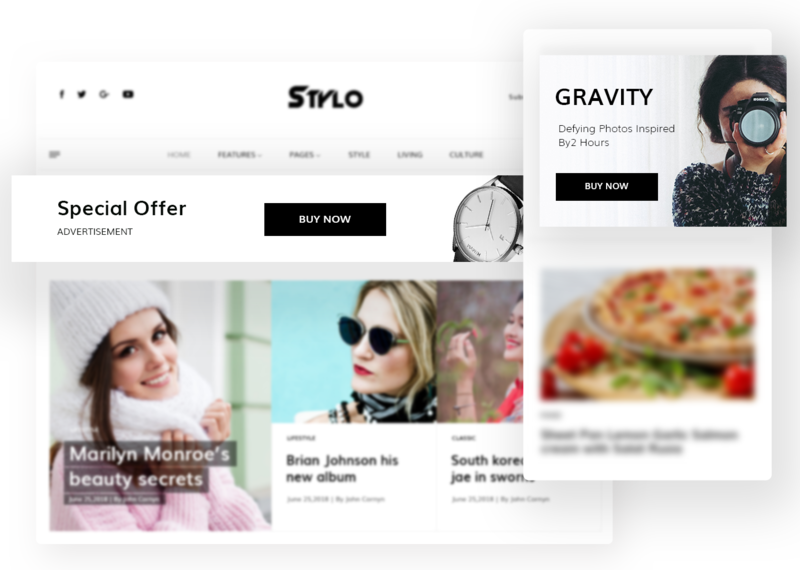 JD Stylo is a pixel-perfect Joomla template best suitable for fashion blog or magazine type website. It comes with a simple, clean and minimum layout which makes this template out of the box. The inbuilt, J2Store integration let you set up your online store in few couples of minutes. 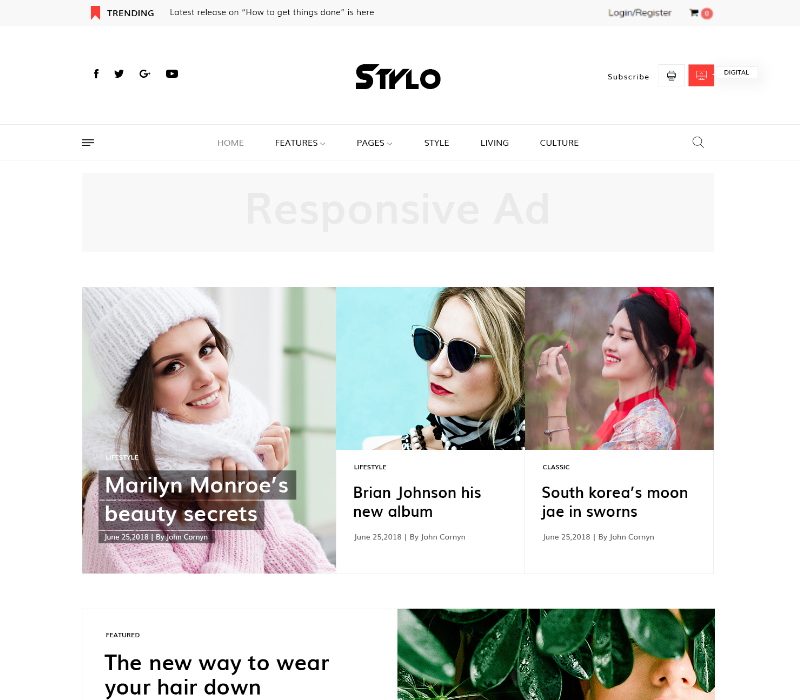 The JD Stylo template is fully responsive and cross-browser compatible template so your users will experience the top-notch experience on any device or browser. You don't need to worry about the compatibility. Doesn't matter how much attractive is your frontend but if the backend is not well maintained, it will be hectic to manage all things for an admin. 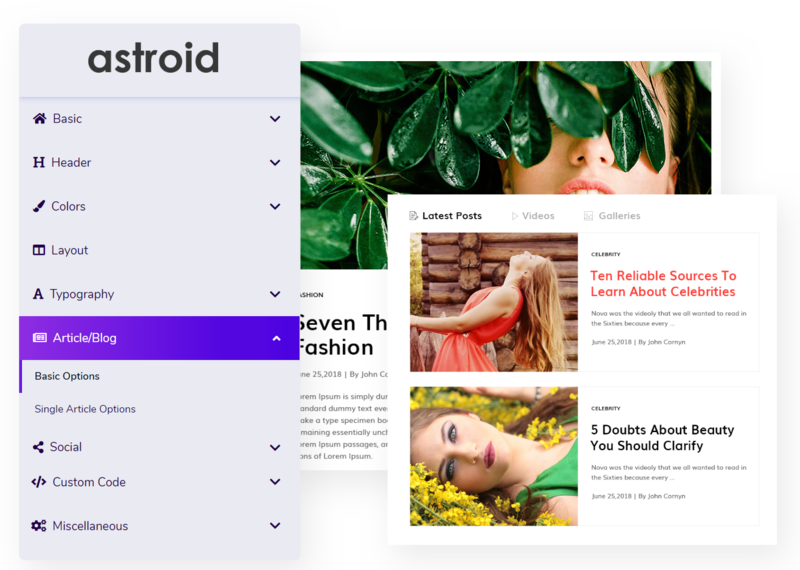 JD Stylo is powered with Astroid framework which offers a powerful easy to use admin panel and helps you to customize your blog/magazine easily. Layout Builder - Build your website layout with drag and drop interface. 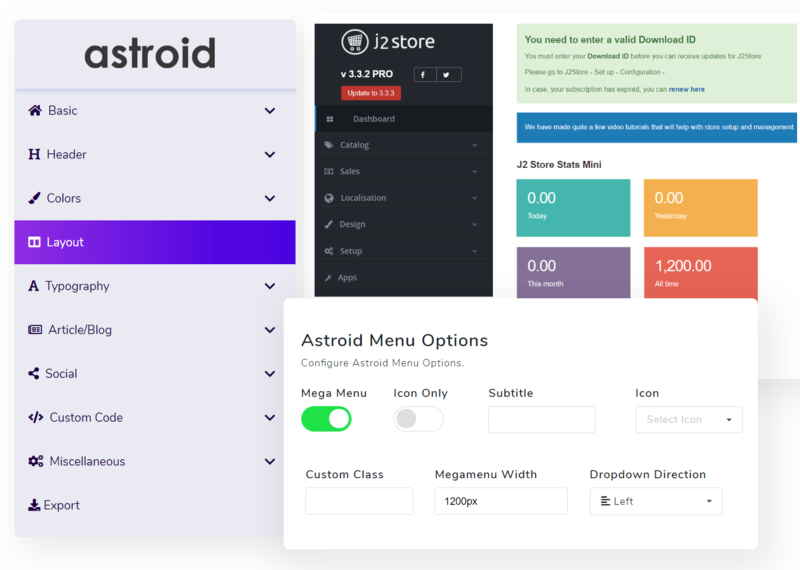 Mega Menu Builder - Now, it is easy to design a mega menu with JD Stylo. You can insert a module as well as a menu item in your mega menu. 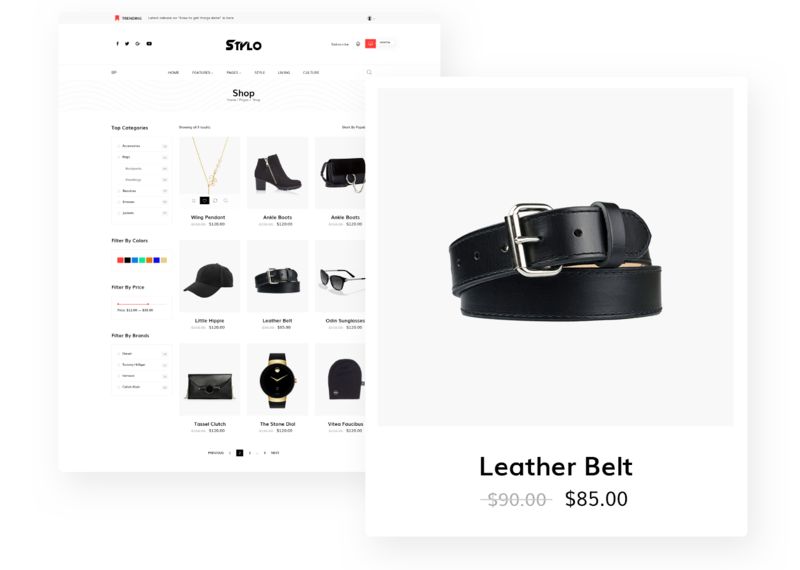 Online Store Builder - JD Stylo Joomla template comes with J2Store integration which makes it easy to set up an online store along with your blog. Now, it is easy to organize your content on your Joomla website with the help of Astroid framework. You can define the article types as per the content. If the content is about any video, you can select the article type Video and it will also be easily identifiable from the frontend. All these post formats come with schema integration which will help you in the SEO. JD Stylo comes with full-fledged fashion shop. We have integrated J2Store to develop the online store in this Joomla template. J2 Store is a leading Joomla eCommerce extension which allows you to sell anything anywhere. Generate additional sales by recommending upsells and cross-sells. Retain customers by offering them redeemable vouchers. Ads are the important part of any blog or content based website. And if the ad placement is not correct, you can not generate a good revenue. 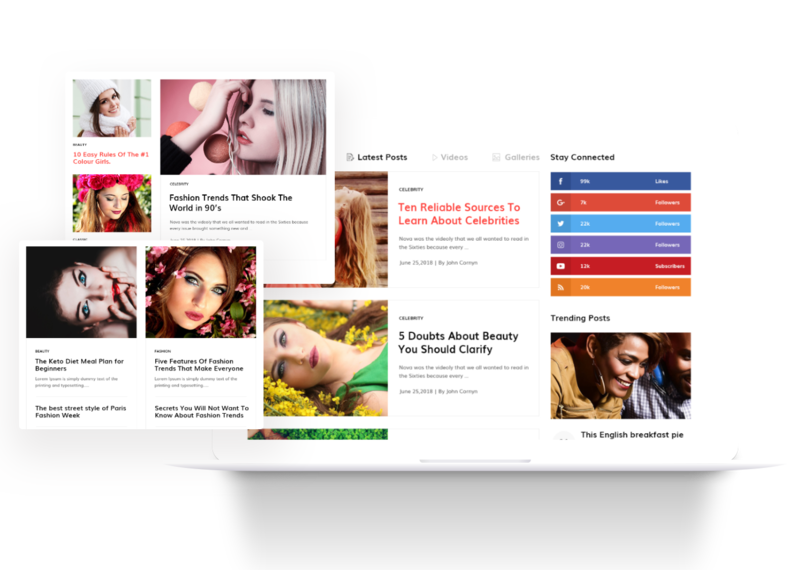 In JD Stylo Joomla Magazine template, we are providing the better ad positioning so you can get better CTR and generate a good revenue. You can show a banner ad on the above the fold, immediately below the header section which will get the most of the attention. Yes, JD Stylo is fully packed with creative and modern elements which will help to increase the readability and user experience on your Joomla website. JD Stylo comes with around 10 content sections and each of the section is designed uniquely. Its crafted in such a way- makes itself incredibly fit for Fashion or latest trendy news with its modern layout arrangement.